Once the summer capital of the country during the British Raj, Mahabaleshwar is not just a great summer destination but can be visited all year round. And just for that, we’ve discovered a gorgeous, nature-filled homestay that boasts of three-and-a-half acres of lush greenery and a villa that’s a mix of stunning antique and modern furniture. 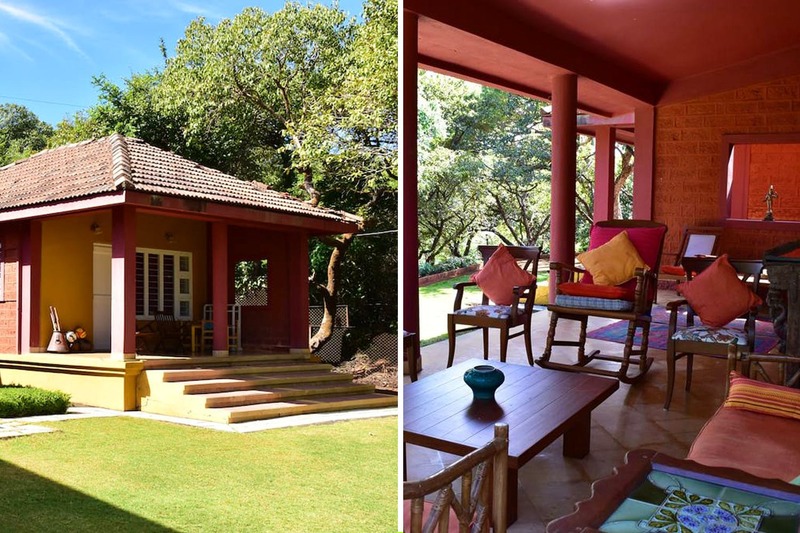 The charming homestay, nestled between the Panchgani – Mahabaleshwar road, is close to Kates Point and the Mapro garden. Orinthea is pretty spacious, spread over 3,500 sq feet, with lawns and back gardens, aesthetically pleasing pathways and open seating. The villa consists of two large bedrooms with a large open kitchen and even a verandah. Both the bedrooms can accommodate four people each. The property is also walking distance from strawberry farms and restaurants. If you don’t want to cook your own meals, the caretaker and his wife can cook them for you at an additional cost. The villa is equipped with all the basic amenities and accommodate up to 8 people. You can book your stay here.